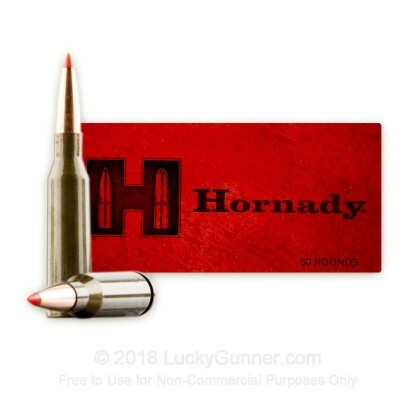 Hornady has come to be recognized as an important source of quality ammunition. But how did this happen? When World War Two ended, almost all the ammo a person could find was cheap, military surplus ammunition. The Hornady founders realized this dilemma and solved the problem by founding a company that only offered the best ammunition. 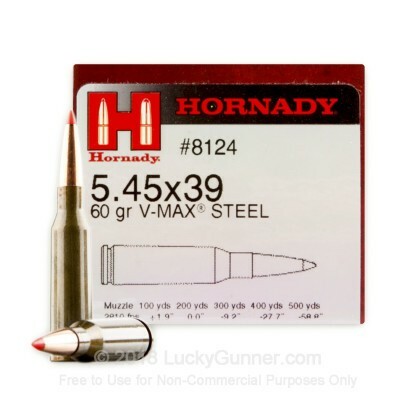 If you want a great self defense and varmint round for your favorite rifle, Hornady V-Max is the way to go. 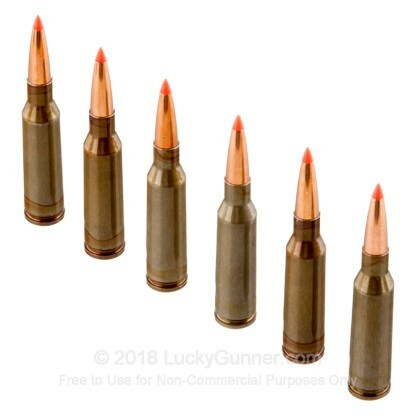 These polymer tipped rounds are designed for maximum expansion, even at low velocities and impart massive energy with great accuracy. 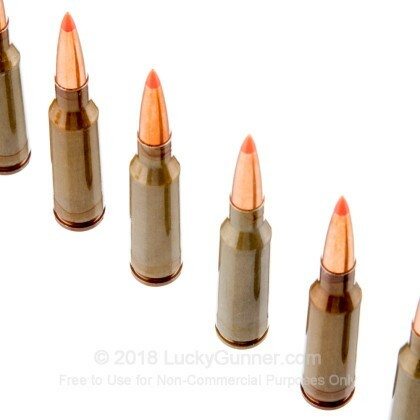 Although made specifically for varmints, these rounds work great for self defense as well, due to their accuracy, energy, and expansion. Although these rounds are brass cased and very high quality, you will have a hard time reloading them due to their berdan primers. However, if you aren't interested in that, the primer type won't make a difference, except for lowering the price. If you are just jonesing to get rid of those pesky trash eaters that are ruining your yard, these V-Max rounds will do the trick like no other. I had a misfire in each box. Perhaps I'm spoiled, but I don't expect misfires from Hornady ammo and have never had any with the Russian ammo I've used in this weapon. 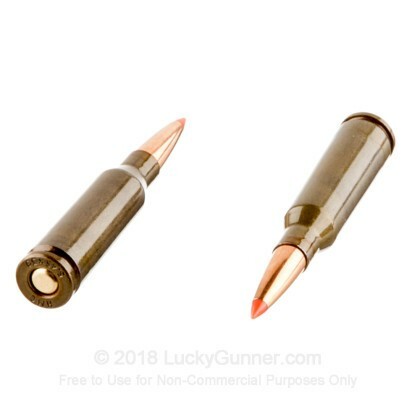 Q: do these bullets have a purely lead core? Are they magnetic? A: Hello Mike! 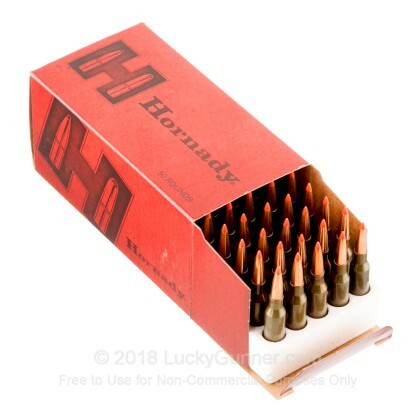 This Hornady ammunition is loaded with their standard copper jacketed, lead core V-max projectile. This projectile does not contain any steel and will have no issues passing a magnet test.